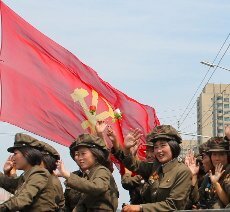 Dandong - Being one of the main entries into the DPRK and having played and important role in the Korean War, this is a city where the influence from Korea is undeniable; a city where remains of past Chinese empires mix with remnants of the Korean War thus creating a fascinating combination. 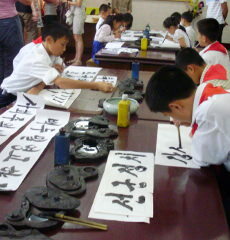 Our tours are guided by top qualified English speaking guides. We offer this trip in either 3 star accommodation or 4 star accommodation. Please contact us for a quotation as this will depend on how many travellers will join. Unlike the Korean Autonomous region of Yanbian in Jilin province, this city is not largely populated by Korean ethnic Chinese. However, given its proximity to the DPRK, size and closeness to maritime commerce, there is more visible interaction with DPRK in this part of China. If you enter or exit North Korea by train the idea of staying one or two days in Dandong may interest you. If you decide to exit by plane you can fly from Pyongyang to Shenyang, where our headquarters are, instead of Beijing. Shenyang is around a 3 hours drive away from here and we can arrange the transportation there and back. A bullet train between Dandong and Shenyang is due in August 2015 and the journey from one city to the other will last less than 2 hours. 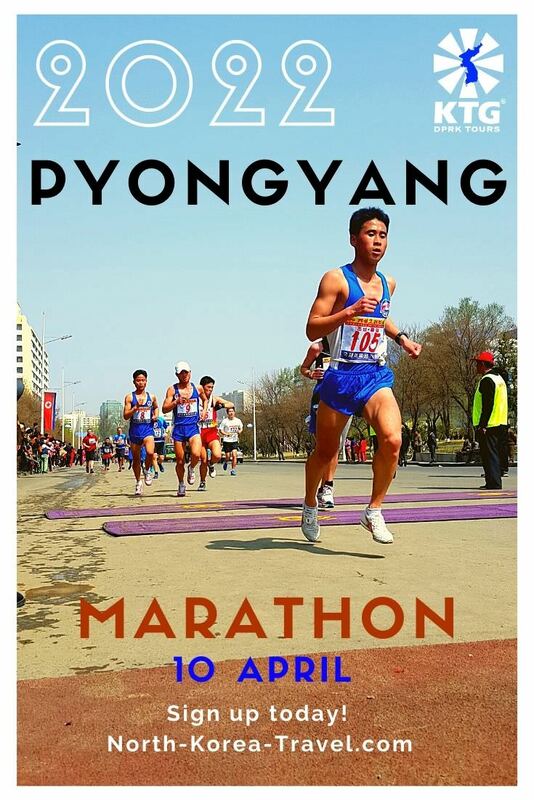 There are also flights from Shenyang to Pyongyang on Wednesdays and Saturdays (and sometimes in the summer on Fridays too). You can therefore fly from Shenyang to North Korea after having visited Dandong or leave from Pyongyang to Shenyang instead of Beijing. 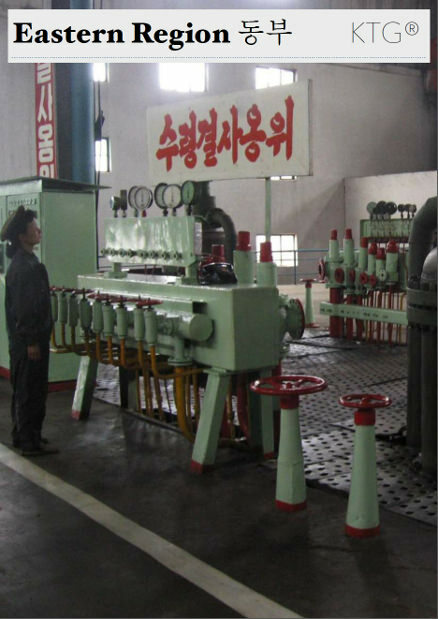 - Dandong extended option – for those who have are not rushed for time and interested in having a close up look to areas of the DPRK completely closed off to tourists. 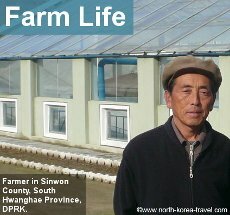 This option will take us about one hour north from downtown and allow for some impressive, and surreal, close up views of the DPRK, including industrial sites, military posts and a giant DPRK – Chinese electric dam. Please check the program as it is a truly fascinating one and can be arranged solely if you are not interested in seeing downtown Dandong. Tiger Mountain (Hu Shan) Great Wall – the most eastern extension of the Great Wall. 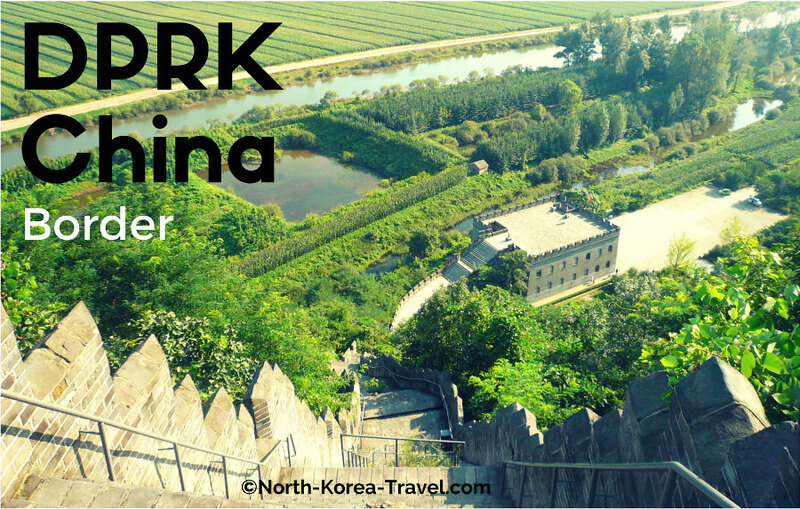 Overlook the DPRK from the Wall’s steep steps and see its villages across the narrow stream that separates both nations. The Great Wall is located in the outskirts of town. The awe created by the fact that this Wall is at some points literally only a few meters away from North Korea is only beaten by the breathtaking views that there are of the DPRK and the tranquiliy of the scene, occasionally filled with propaganda music in the background. This area also offers you the chance of seeing soldiers and local farmers. 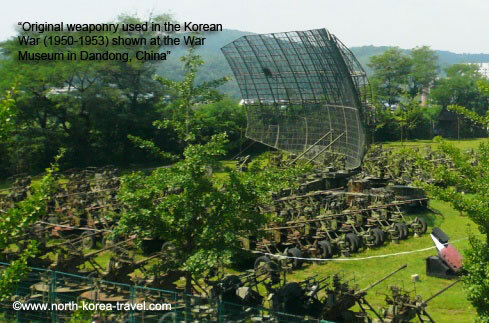 Korean War Museum – officially called the “War to Resist US Aggression and Aid Korea Memorial” the museum holds original weaponry and vehicles used in the tragic Korean War. With US troops approaching China the Chinese sent in their troops hence the large number of US equipment used. Broken Bridge – bridge half destroyed during the War it runs to the middle of the DPRK and China. It’s possible to go on the bridge and literally face the city of Sinuiju. Boat ride – cruise between Chinese and Korean waters to the point where you go by Korean ships and boats and where you can clearly see locals getting along with their lives on the Korean port. Summer offers a great chance to see locals bathing in the Korean side of the river. Binoculars can be rented on the boat and do not be surprised if Koreans pleasantly wave at you, as the sight of foreigners is not that common. Chairman Mao Statue– located right by the train station, Chairman Mao shows the way from here. On the other side of the river in the North Korean city of Sinuiju a statue of his ally, President Kim Il Sung, can be seen. 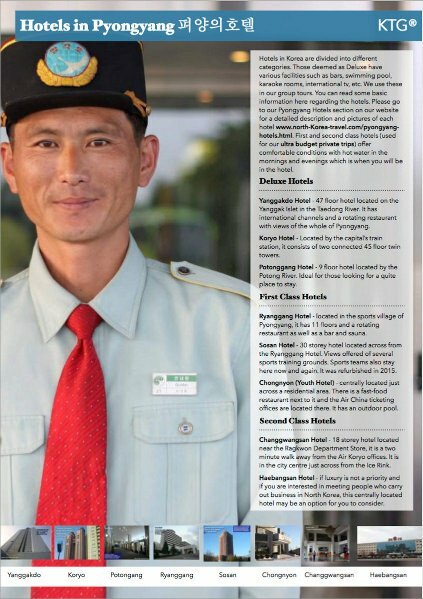 Please see our Yanbian Guide to see information on other China/DPRK border areas.